This leaf necklace came to life when it was hand painted with a combination of green and turquoise colored patina paint. 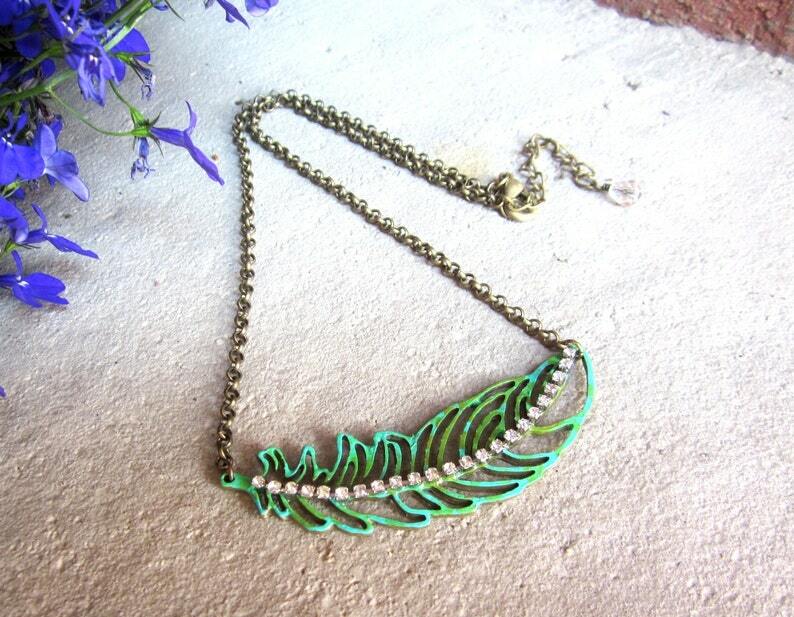 A beautiful rhinestone chain drapes across the leaf for added texture. All in Antique Brass metal. This is a statement piece, get ready to be showered with compliments every time it is worn. I hope you enjoy wearing it as much as I enjoyed making it! Necklace Length: 18 inches extends to 20 inches (this can be made longer or shorter for no additional charge, please convo me the length you'd prefer).